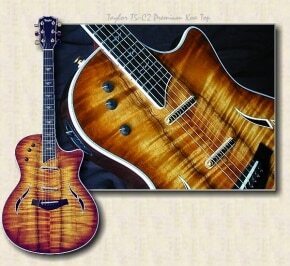 Over the last 35 years, Taylor guitars has amassed a sterling reputation as on of the world’s premier guitar companies. Bob Taylor is widely recognized for bringing innovative refinements to the guitar-making process, and the proof is in the playing. But as Bob will point out, innovation is never an end unto itself. Bob and his product design group are driven by a deceptively simple goal: to clear the obstacles that get in the way of a great guitar playing experience. At Taylor, innovations were hatched as a means to make straighter, more stable necks, keep guitars in tune, and give them a more articulate voice. By solving those fundamental problems, Taylor has made it easier for guitarists to express themselves. In the case of electric guitars, Bob and his team wondered, what if an electric guitar could offer players a broader range of tones? What if a pickup could deliver raw power and tonal definition? What if you could get killer single coil tones without noise? 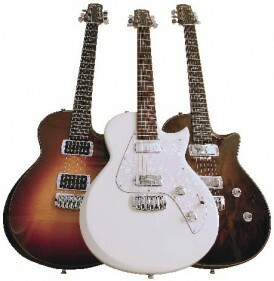 One idea led to another, and the end result was a series of uniquely inspiring Taylor electric guitars that have answered those “what ifs” and them some. More than ever before, musicians are blending acoustic and electric textures together on stage. From a solo artist looking for a versatile performance guitar to rock bands with multiple guitars who layer their sound, the Taylor T5 offers an electric/acoustic guitar with incredible range. The hollowbody hybrid incorporates three pickups–one magnetic acoustic sensor and two humbuckers–and allows players to easily switch between acoustic or electric tones with a five-way switch, or blend them both together using an A/B/Both box. By running one output to an electric guitar rig (a pedal board, POD, etc. ), and the other to a direct box and then to a PA for an acoustic path, players can easily switch back and forth or use the Both switch to blend both outputs. From clear acoustic to full crunch, with everything in-between, the T5’s versatility puts a lot of tone in a player’s hand. With a Taylor-designed humbucker at its core, the Taylor SolidBody enables electric players to balance tonal fidelity with the power to fully drive an amp without being super hot. The humbucker design, in fact, inspired Taylor’s development team to entirely rethink what a great solid body could be and redesign it from the ground up. The SolidBody Classic and Custom feature full-output mini-humbuckers that offer a jolt of punchy power, yet maintain enough tonal definition to fit well in a mix. The Standard features full-size humbuckers that are big on raw power and sustain without compromising balance of tone. The Classic SC boasts another breakthrough: noiseless single coils that respond with all the breathy sparkle and character of the single coil sound, but without any of the traditional buzz, hum or other sonic artifacts. A version of the SolidBody with a tremolo bar is also being offered. While each Taylor electric model brings out a different range of tonal flavors, they all share a connection through the inspiring nature of the playing experience–which meshes perfectly with Taylor’s golden heritage. “I’ve seen this over and over, where people pick up and play a Taylor acoustic for the first time and say, ‘I never knew an acoustic could play this easily, be so in tune and sound so good,’” Brian Says. “That’s exactly what’s happening with these electrics.” Source: Musiciansfriend. 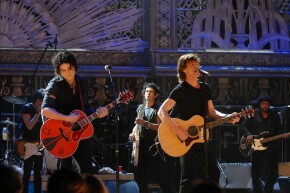 For more on the Taylor electric experience, visit taylorguitars.com. 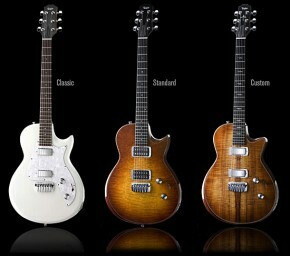 T5 Custom Koa Top: $2899.99; SolidBody Classic: $1299.99; SolidBody Standard: $1799.99; SolidBody Custom: $2299.99.